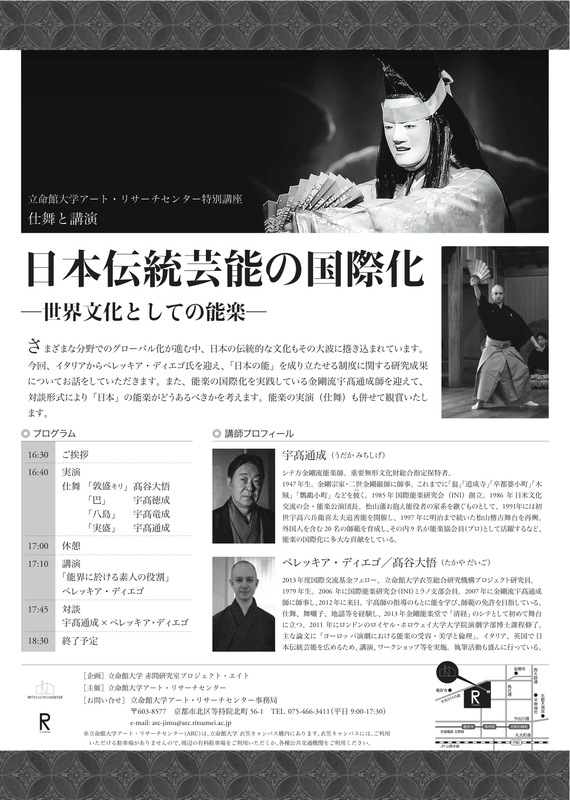 On Sunday 27th October 2013 Kongō-ryu shite actor UDAKA Michishige will perform the rare Noh Hōso, exclusive to the Kongō school of Noh, as part of the Kongo Noh Theatre monthly programme. 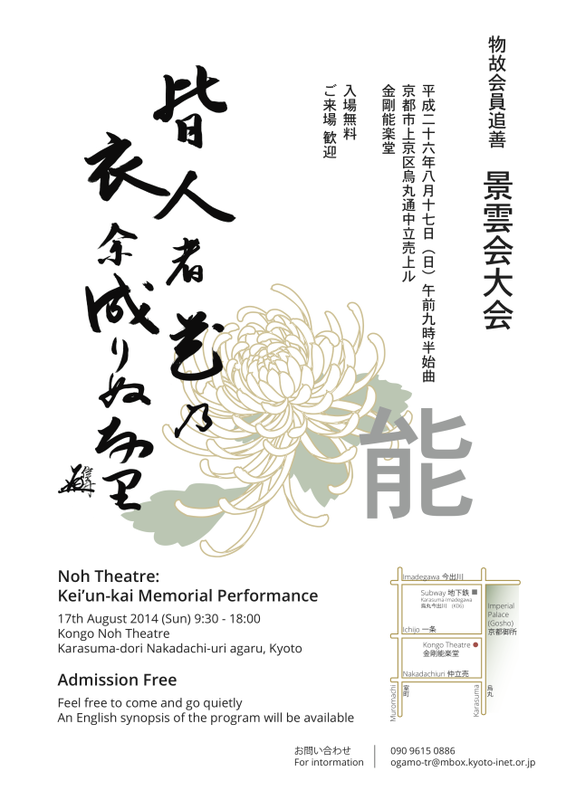 The Noh Yōkihi and the Kyogen Hagi Daimyō will also be performed on the day. Celebrations are being held at the court of Gi no Buntei in China and among the many immortals who come from their mountain hermitages to pay their respects is one who appears to be a young boy but calls himself ‘Hōso’, the ‘Prosperous Ancestor’. Asked about his identity, he tells how he was once in service at court but was exiled long ago for the crime of stepping over the Emperor’s pillow. In his compassion the Emperor gave the youth the pillow as a keepsake along with a quotation from the Kannon Sutra. Hōso explains that he was acquired eternal youth by drinking the water from the stream running by his hut. Hōso faithfully copied the quotation on the leaves of chrysanthemums which grew by his hut and dew that fell from them transformed the stream into an elixir. 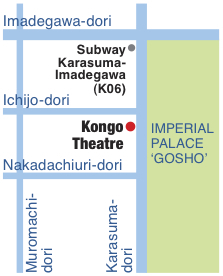 The emperor vows to visit Hōso’s hermitage on Mt. Tekken and later Hōso dances for him there. 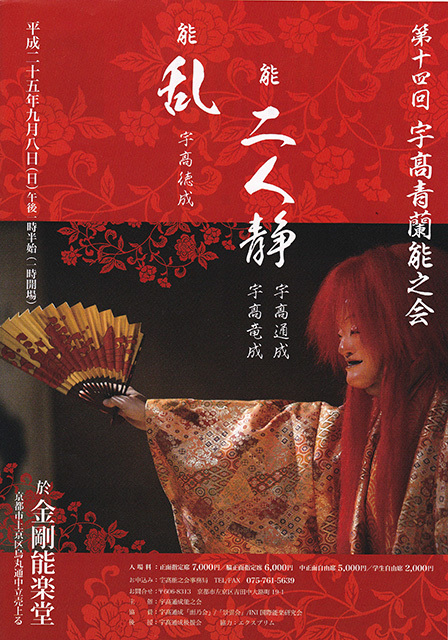 Hōso is the sequel to Makura Jidō (titled Kiku Jidō in the Kanze school version) in which the young boy is discovered in his place of exile and he first realises that he has become an immortal, thanks to the power of the quotation he has copied on the chrysanthemum leaves. 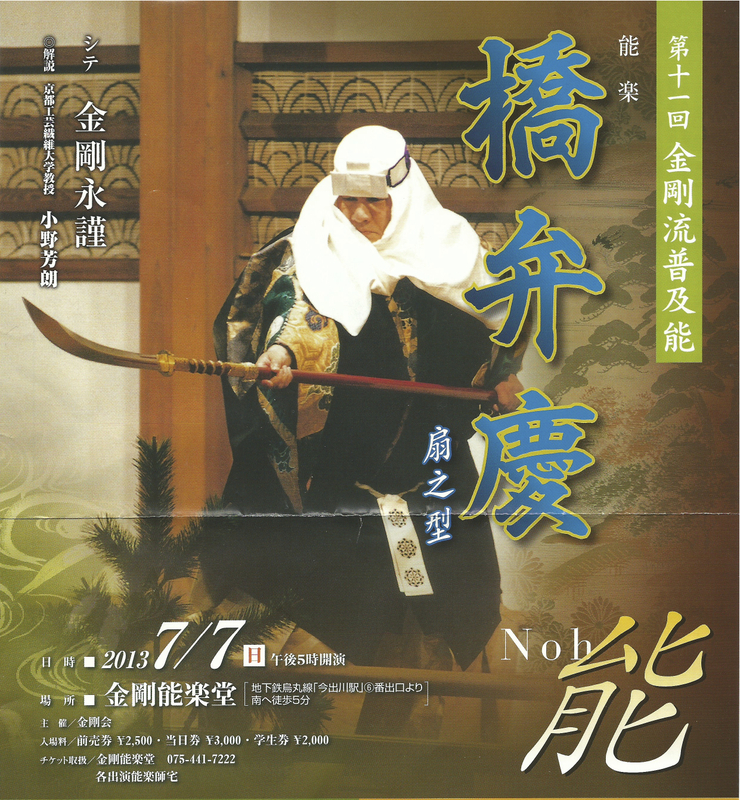 Hōso is performed only by the Kongō school. 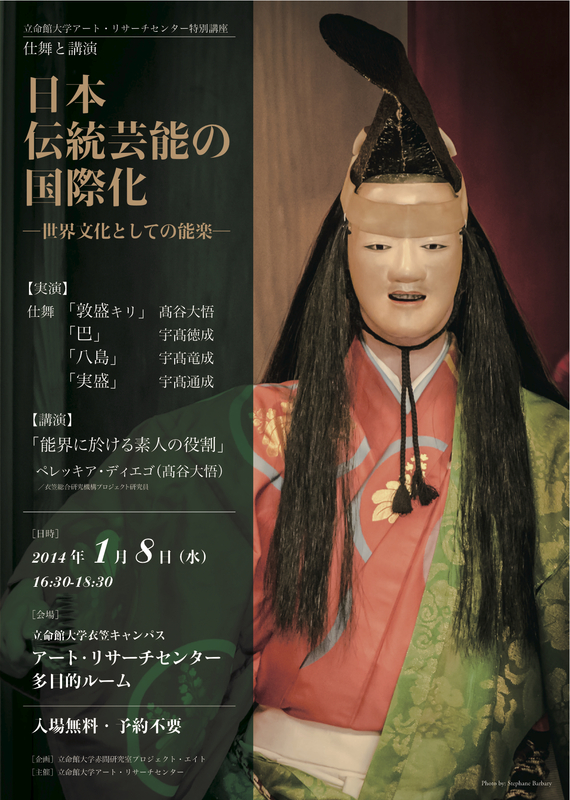 Kongo Noh Theatre, Kyoto. 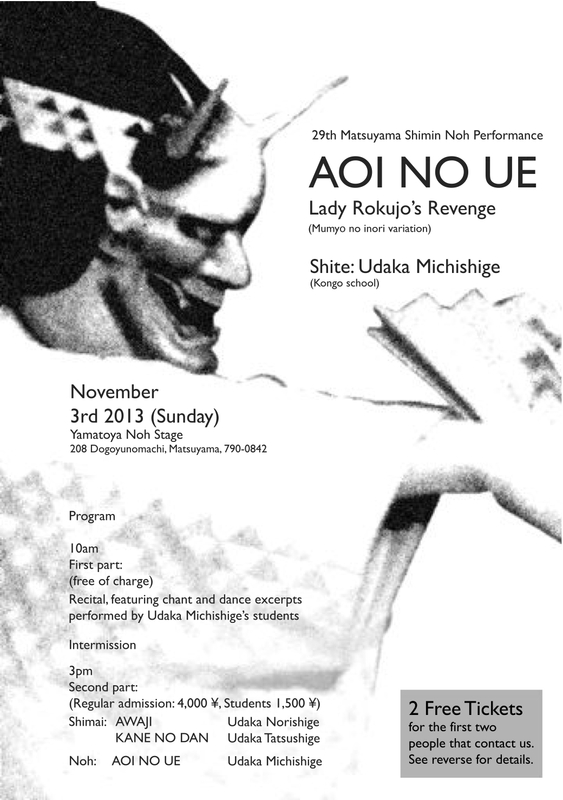 Monthly performance series (October). 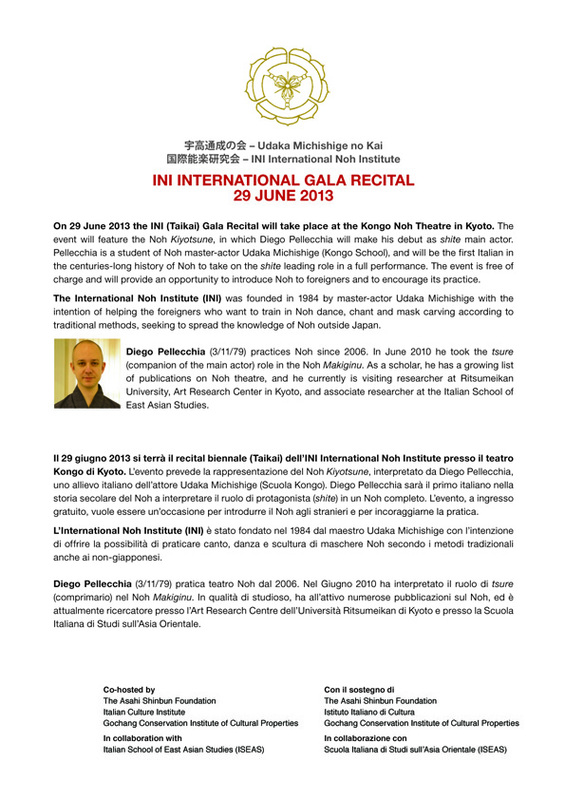 Doors open at 13:00, performances start at 13:30. 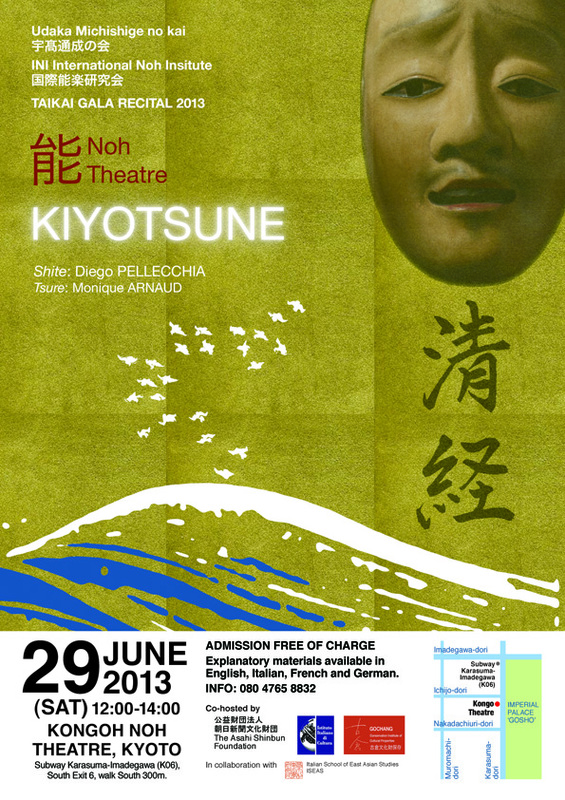 For more information on the performance, or to reserve tickets, please contact me here.